UPDATE: ANNA Meares' Olympic journey is over after she lost her second-round repechage heat to New Zealand competitor Natasha Hansen in the ride-off for ninth overnight. After the loss, Rockhampton's Meares was consoled by coaches and team mates in the Rio Velodrome. 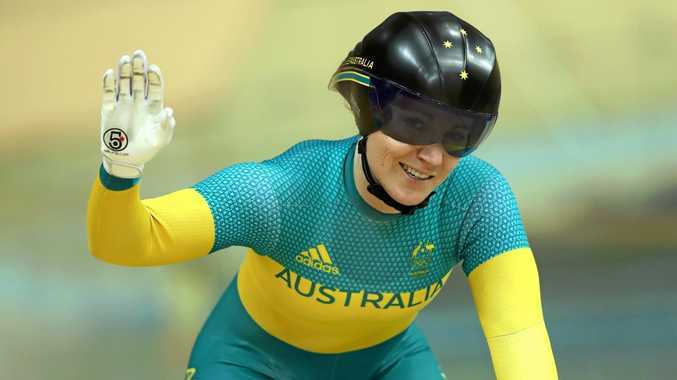 CYCLING: Anna Meares' Olympic journey has gone into another day after the Queenslander made it through to the last eight in the sprint event at the Olympic Games. After qualifying ninth fastest Meares lined up against fellow four-time Olympian Simona Krupeckaite, with the Lithuanian knocking the Aussie into the repechage for the first time in her Games career. The Aussie reigning Olympic champion managed to get through that, however, to make it to Tuesday's racing. It was not so good news for teammate Stephanie Morton, who also found herself in the repechage round after Russia's Anastasia edged her in their heat. Her Rio campaign then came to an end after being pipped on the line by France's Cueff. In the men's sprint, Matthew Glaetzer was forced to settle for fourth spot after losing out to Russia's Denis Dmitriev in the ride-off for bronze. Dmitriev proved too strong for the South Australian as he took the win in two straight rides. "At the end of the day I got beaten by a quicker rider both in the semis and the final. "I have good legs, it is just that they have better ones, that's just the way it goes. "They are really impressive at the moment." Great Britain's Jason Kenny claimed his second straight Olympic gold medal, defeating teammate Callum Skinner, who won the silver.